An opportunity for budding writers to explore the world of Charles Dickens on Wednesday 14th December at 2.30pm. As part of the Dickens in Darlington season, Darlington Civic Theatre is offering an exciting writing workshop, Making A Manuscript, where people can explore the world of Charles Dickens’ famous A Christmas Carol and be guided through Victorian London to consider the influence of Dickens’ own life within his works. There will also be the opportunity to examine special editions of A Christmas Carol before writing your own Dickens-inspired Christmas tales using quill pens and ink. This unique workshop will be led by Eleni Veltanioti from the Charles Dickens Museum in London. Recommended age 16 and over. Making A Manuscript is at the Institute Room, The Friends Meeting House, Skinnergate, Darlington on Wednesday 14 December at 2.30pm. To book contact the Box Office on 01325 486 555 or for more information visit www.darlingtoncivic.co.uk. All proceeds to go directly to the Civic Theatre’s restoration fund. 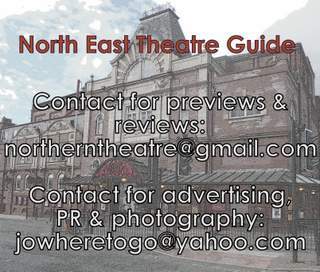 Darlington Civic Theatre Foundation, Registered Charity Number 147625.